This winter we finally got a piano, and I can't believe it took us this long! It has really made this house feel more like home. Piano has been a big part of my life -- I took lessons growing up, and studied it part way through college, playing for various jobs like weddings & church services. 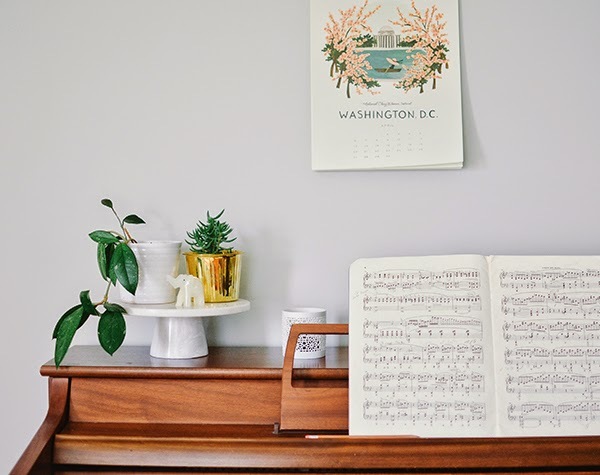 After I got married and we moved into a tiny apartment, though, my parents gave me a small keyboard to practice with but eventually I kind of lost touch with playing all together. I guess something clicked this year (?! ), because I was determined to finally get a piano and start playing again. My parents want us to have theirs (that I love) someday, so for now we decided to look for a good deal on one through Craigslist. Our hunt eventually led to this Whitney Kimball, and thanks to some generous help from my dad with moving/hauling it during our crazy winter, here it is! 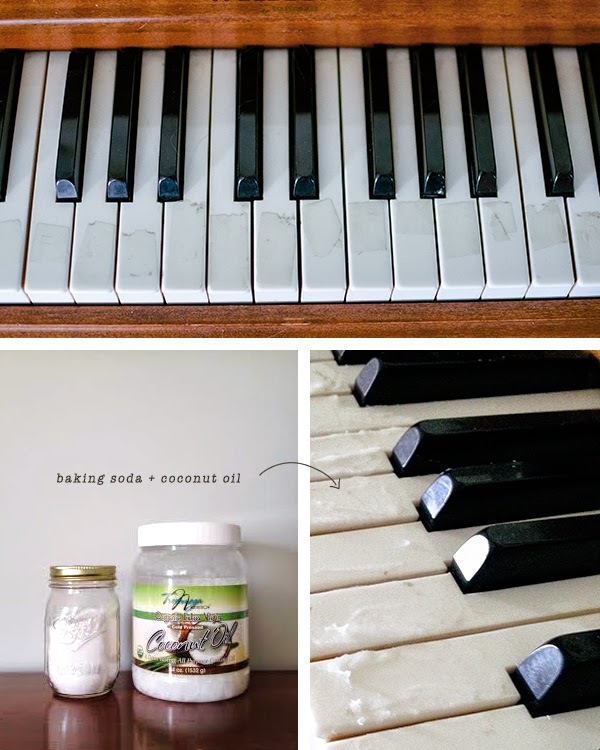 I used a scraper blade to remove all of the tape, but there was still a good layer of sticky residue left on each key, so after a quick pinterest search I mixed together a tiny spoonful of baking soda and some softened coconut oil, and rubbed the paste (too generously, maybe) onto the keys. Then I waited about ten minutes and kind of wondered if it was just going to be a big mess. After letting it sit, I went back along each key with a paper towel, wiping off the paste and scraping thoroughly as I went. It was tedious, and I'm not sure if this was really the easiest method to go with, but after a few rounds the keys looked shiny and new! Plus, they did smell amazing the next few times it was played. So happy that we finally have a piano in our home to enjoy. Congrats for the piano. 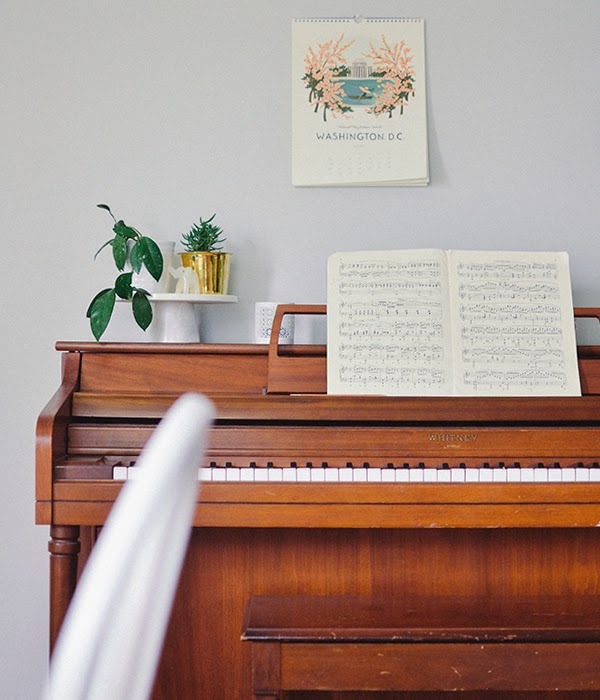 If you had a small home, then definitely a big size piano creates a problem and that is the only reason many people thing to shift the home. 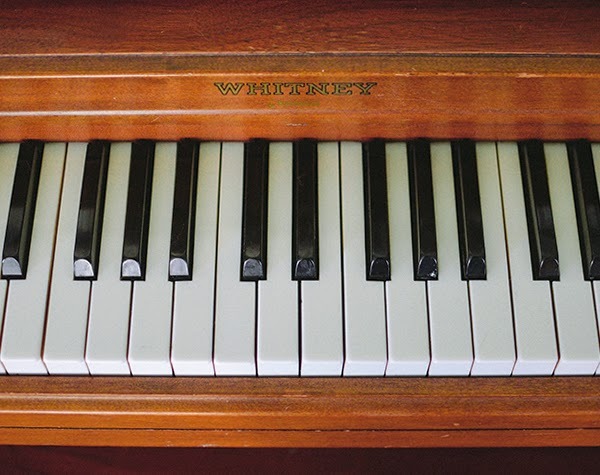 At the time of shifting piano moving interstate is a problem, but if you will take help from moving companies, then it makes easy for you that you will shift it in a proper way.